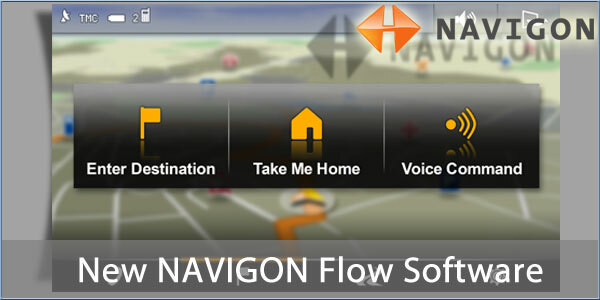 NAVIGON have given a sneak peak of their new software, NAVIGON Flow. Aiming to set new standards in user-friendliness with improved ease of use, NAVIGON Flow now has a simple interface with three menus containing all the most common functions. Swicthing between options is "like turning the pages of a book" and allows users to access other options without interrupting navigation. The simplified menu structure has been built based upon user feedback and the results obtained from user focus groups. Visually the interface has animated screen transitions and an overview allows for easy navigation within the menus and means functions can be located quickly without becoming lost in many layers of menu options. The first devices to run the new software will be revealed at IFA in Berlin this September.